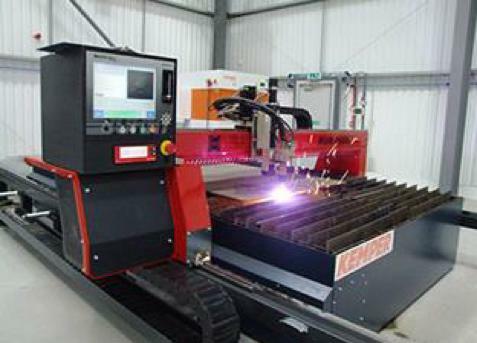 In general, plasma cutting is ideal for cutting thicker metal sheets quickly and precisely. In most cases, a plasma arc will go through thicker sheets just as easily as thin ones. Plasma cutting can be a good fit for materials that require minimal stress during cutting. For example, because plasma cutting produces a smaller heat-affected zone (HAZ) when compared to lasers, it is often a good choice for cutting heat-sensitive metals. In addition, products or work pieces that include multiple metals with different melting points can be cut efficiently with plasma.